Another quiet week for buys and sells but the divvy's keep rolling in. Received two divvy increases this week with a sizable one from Bar Harbor Bankshares (BHB) clocking in at 10%. Only received dividends from Medical Properties Trust (MPW) this week so a bit a light. Big gain for the week was a nice 4% divvy raise from Procter & Gamble (PG) which was a decent boost to my forward income. Don't forget April is Financial Literacy Month so take some time to help someone become a bit more educated with their finances. Walgreens Boots Alliance (WBA) earning release missed expectation and decreased their earnings outlook for the year which sent the stock tumbling down 12.81% to close at $55.36/share which in turn lowered its P/E down to 10.81. WBA is a dividend growth and inflation beating champion and I saw this as an opportunity to buy another installment at $55.10/per share and a dividend yield of 3.19%. I now have a two thirds position and if the price drops to $50 I'll make my last buy to create a full position. 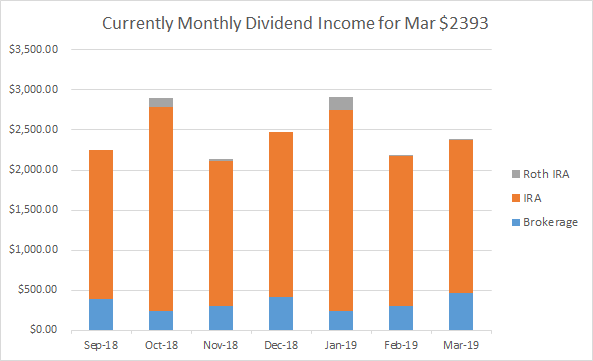 It has been rare over the last year to see a dividend champion yielding more than 3% and luckily I am in a position to capitalize. This month I made $2,393 a decrease of 3.07% versus this time last quarter. 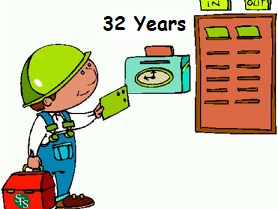 The decrease was not in part to any stock sale or dividend cuts but a timing in dividends. In December my ETF's make a double end of year payment of near an extra $100. The other issue was Garmin (GRMN) and GATX Corp (GATX) which both have payout dates of 3/29/19 but will not credit my account until April 1. If I adjust for these two factors my income would have increased $124 a near 5% increase. I can’t wait till I get a full year of tracking complete as a year over year comparison will be much easier than by quarter. For the month I only bought two stocks, Walgreens Boots Alliance (WBA) in my regular brokerage account and Iron Mountain (IRM) in my Roth IRA. If WBA drops below $60 I’ll add more shares but with IRM I have a full position and will not be adding shares for quite some time. Trying to find decently valued DG stocks to buy has been a challenge since late January. It is not that there are no good buys but how many times can I add more shares of AT&T (T), Abbvie (ABBV), or Prudential (PRU) before I get too overweight? Even REITs have been strong in the first quarter and with everything fully to slightly over-valued all I can do is be patient and keep jumping at opportunities as they arise. Looking at my 3 year goal metric I improved my percent complete by 0.50% from last month and puts me on target not just for my 3 year goal but also my annual goal of increasing my forward dividend by 12.5%. This site and my investing has started to become down right boring and I could not be happier. Media likes to show the instant success stories that make investing look exciting and risky, but for the average person (including yours truly) planning, saving & investing for financial independence is a slow pace of putting away a percentage of income and letting Father Time do his magic with compounding, dividend reinvestment, and dividend growth. 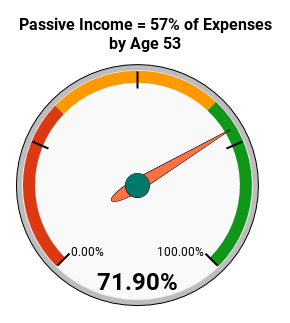 Now that my challenges for managing expenses while eliminating credit card and mortgage debt have been completed there is little to focus on except to continue to save, invest and execute an investment strategy most of which is on auto-pilot. All that is left now is to watch the slow progression towards an end game which is now 9 years away. Sure I will buy the occasional stock but overall being bored is exactly where I want to be as an investor and a goal that I believe many fellow investors should strive for as it allows you to embrace or improve other areas of your life. One aspect that I firmly believe in is not to become obsessive over my finances. I am human after all and need to enrich other areas of my life in regards to family, friends, education and hobbies. In other words things that make me happy. Now that I have less to spend time on finances I can now focus and embrace those other areas of my life some of which have been hold for many years. One hobby I always wanted to try was metal detecting. I bought a beginners rig and ready to hit the woods, farms and parks of New England to see what I can unearth. Another piece I am getting back to is traveling. Due to financial constraints my wife and I have not been on a real out-of-state vacation in 7 years. We can’t wait to hit the road and start touring the U.S. like we did in our younger days. Got hammered at work pretty hard this week working 12 to 13 hours per day so this post brings me up to speed as much as any readers. This week I received my first dividends from Ryder System (R) and was surprised to see WPC with a dividend raise. All in all not a bad week for divvy income.